1606 When King James VI of Scotland became King James I of England, it was decided that the union should be represented by a new flag. The design incorporated the flags of St George of England (red cross on a white background) and St Andrew of Scotland (white diagonal cross on a blue background). 1801 With the union of Ireland and Great Britain (The United Kingdom of Great Britain and Ireland), the cross of St. Patrick was added. 1921 When Southern Ireland gained its independence no alteration was made to the flag, but the territory it represented was known as The United Kingdom of Great Britain and Northern Ireland. Born this day 1884 in Tenby. Tenby Davies (Frederick Charles Davies) was one of the greatest ever Welsh runners, becoming the half-mile world professional champion in 1909. Admiral Sir Thomas Foley (1757 – 9 January 1833) from Narberth was a "Hero of the Battle of the Nile" and one of Nelson's "Band of Brothers". On 12th April 1782 in the Battle of the Saintes, during the American War of Independence, the British fleet defeated the French after a campaign in which Foley played a major part, forcing the French and Spanish to abandon a planned invasion of Jamaica. Foley is also noted for his participation in the incident when Nelson disobeyed an order to withdraw during the Battle of Copenhagen in 1801 by holding the telescope to his blind eye. Nelson then turned to Foley, his chief-of-staff and said. "You know, Foley, I only have one eye - I have the right to be blind sometimes" and then holding his telescope to his blind eye Nelson said, "I really do not see the signal!" On 12th April 1842, a Chartist Convention met in London to arrange to submit a petition to parliament. Delegates included Morgan Williams, who brought with him a petition signed by 36,000 people from south Wales. In the early 1800's, there began to be calls to reform to the elitist electoral system, which resulted in "The Reform Act of 1832". However, this act in the eyes of many working class people did not go far enough. Ellis William Davies a Welsh Liberal Party politician who was one of a number of Welsh MPs who disagreed with Prime Minister David Lloyd George over the management of WWl. Davies felt that Lloyd George's stance conflicted with his own strongly held views. 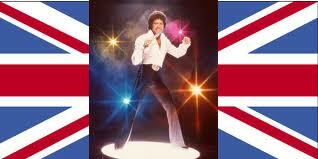 Adding Tom Jones to the Union Flag would be a great idea. Although, I'm sure there are some Americans who would think it was Nevada State flag! Why? Well, a good friend of mine went shopping the other day. She had one of those cloth shopping bags bearing a decorative print of the UK Union Flag on the outside. I suppose handles at the top is a good way to make sure Yanks don't inadvertently display the "Union Jack" upside down. Anyway, another shopper came up and accosted her for displaying a "Confederate Flag" on her bag. There seem to be legitimate questions about what would happen to the Union Flag if Scotland becomes Independent. It's possible that nothing would happen. I hope Wales is someday included whatever else might happen. However, I think the worst possible outcome would be a complete revamp of the current Union Flag designed by the same bloke who did the 2012 Olympics logo. Can you imagine?! Maybe we should consider a quilt instead? Ah, yes, keeping everyone happy. Now that's the ticket! Isn't it? Reading over the comment section of our unbiased focus group, it seems that the 3 who voted against the new, proposed Union Jack flag were from Ireland. They said St. Patrick's cross, when reduced to that size, reminded them too much of the GMAIL icon. 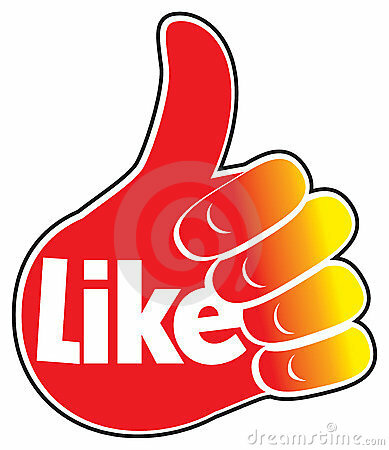 Other than that, they liked it too.